February is the month of love and lust. 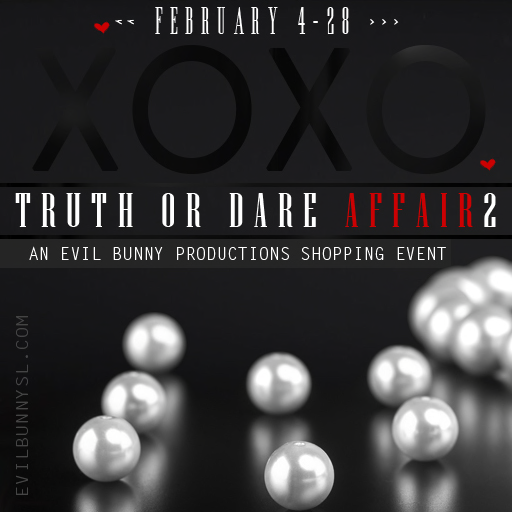 The Truth or Dare Affair 2 starts Feb. 4th and runs through the end of the month. Designers will bring you their sexiest, sultry and sweet designs, to help improve your love life. Brought to you by Evil Bunny Productions. Stay tuned in for some very steamy future posts.